Hand Loader’s Stub Gauge – now available! A barrel stub gauge allows the reloader a view of the chamber that is cut into their rifle barrel. 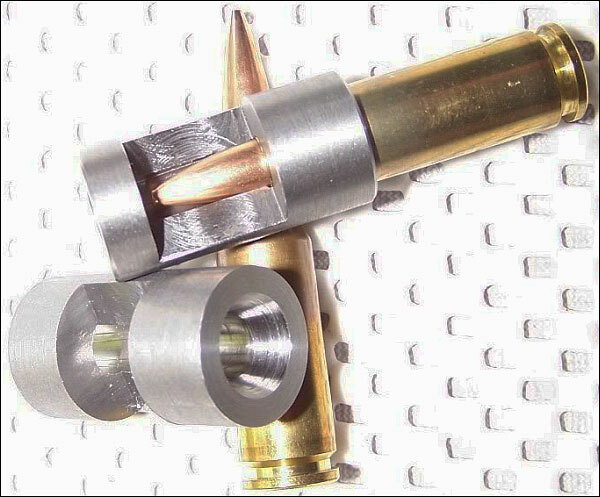 It is not meant to give you an overall cartridge length, the purpose of the stub gauge for reloaders is to be able to see the chamber from the shoulder forward to help in the seating depth of your bullets. You will see the shoulder, the neck, freebore and throat of the chamber. These can only be made at the time the original barrel is created, so be sure to order them with your new custom pre-fit barrel.